As well, before I get started I want to add that I was inspired to put this kit together because of a YouTube video by Raul Perez (AKA: Water Monkey) a little while back. In the video he showed off a cook kit that he got from Smokeeater908. What intrigued me for some reason is the container that went around the cook pot as well as the cozy that he had made for it. The container reminded me of the containers that Kool-Aid and Lemonade comes in. So, I headed to Wal-Mart and scoped it out…and guess what? Score! However, there were 2 different containers to choose from: Great Value and the real-deal Kool-Aid. 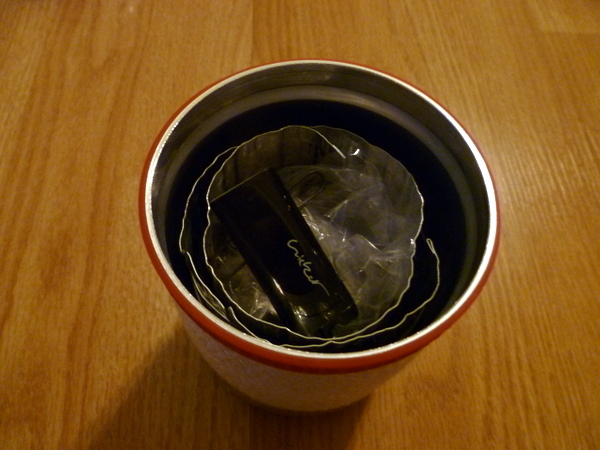 In the end I found that the original Kool-Aid container was a perfect match for a Foster’s can Cook Pot. However, the Kool-Aid container was just a bit too narrow for my MBD DBC Cook Pot to fit in…so I continued the search. In the end I found that a Smart Sense Lemonade Drink Mix from K-Mart was the perfect fit for the DBC Cook Pot. Thanks for your time. If you have any questions or comments, please feel free to leave them at the bottom of this post. This entry was posted in Cook Kits, Gear. Bookmark the permalink. I just received the carbon fiber lid which has an measured diameter, for inside the cup, of 3.07 in. I used am cartridge case calipers to do the measuring. My REI cup is allegedly a 400 ml titanium with handles with inside diameter of 3.01 inches. I need a lid that fits the REI cup. The outside diameter which one can grasp and not get burned fingers, is not as essential as the need to have the lid recess into the 3.01 in. cylinder of the shape of the cup. I have other lids for my Snow Peak cups which I purchased from minibullcult in Maine, but they do not have the 3 in. size that I need. One of my Boy Scout Instructors and ‘guru’ of ultralight backpacking, recommended your company to me. FYI, while camping in the wild lands, I use the 600 ml. cup for morning coffee…that works! I enjoy cereal mixes in the same 600 ml. cup. This all works somehow. Please forgive my confusion and misunderstanding about lid size. We can exchange lids as you believe appropriate. I have your mailing envelope and the lid is light; I am a Scout Commissioner with a very long and honorable history, so fear not being paid for any extra costs in the exchange. I’ll admit, I’m confused. I am not a company, so I cannot exchange your lid if that is what you’re asking? Haha, no problem! And I hope your issue gets resolved. Cool write up, Stick. This area of my set up drives me nuts. I’m always tinkering with my cooking set up. I can’t seem to settle on one set up that I prefer over the others. 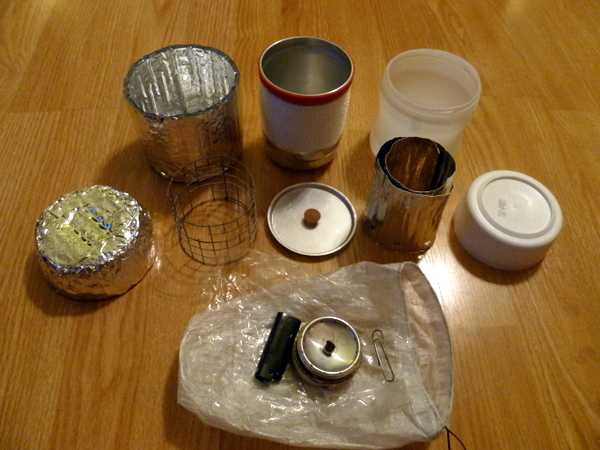 Just made a wood stove and an esbit stove the other day and will give them a try soon (I hope). Keep up the good posts. I can’t seem to settle on one set up that I prefer over the others. Anyway, good luck with your set-up and thanks for stopping by and commenting. Hi, Stick. Just a quick follow-up. I tried the Esbit set up at home. Works nice and I like it very much. But I was wondering…you have used one of those tri-wing stoves that hold a solid fuel tab, right? Does that stand hold your 10 cm Imusa mug? And, when it’s all folded up, does it fit inside the mug for storage? I just went and checked the fit. Short answer, yes, it will fit on the stand. Longer answer, it can be a bit finicky. The edge of the cup/pot hits the stove where the support legs roll out near the top which makes the cup/pot want to slide down into the groove on 2 of the sides. It would probably be more stable with the weight of the water in the cup/pot. But, like I said, it will work and I would use it, but I would be sure to be careful when setting it up, as well as keeping a safe distance while doing other things when the stove is going. Of course though, this should be practiced with any stove, IMO. As far as will it stow inside the 10 cm cup, that is an easy one, yes. Very well. The stove will actually lay down flat (when folded) in the bottom of the cup. Again, I apologize it took me so long to get back to your question, but I hope it helps. That’s a big help. Thanks, Stick. I’m having fun experimenting with Esbit and some different set ups. Just trying to find a set up that involves one piece and is stable, but will hopefully incorporate my Imusa mug–I really like that thing and don’t want to spend $ on a new mug. Thanks, again. Long time no post haha……………….Glad to see your new cook kit, who cares if this set inst ultralight we all hike our own hike, and I think it’s a cool setup you got going. I also came up with a little variation of my cook kit too, I am now using a single wall 600 Snow peak mug with a homemade lid, a Fozzils kids solo mug for my bowl and cup, and a outdoor brand from Wal-Mart spork, its a good little light set up at around 4oz plus whatever stove setup you choose. I got to try it out on my last A.T. hike 2 weeks ago it worked out well. Looking forward to you next post, and good man for spending more time with your family! Great write up and a good DIY kit you made! Thanks for the shout out. Hope you liked my entire epic trip series I posted. 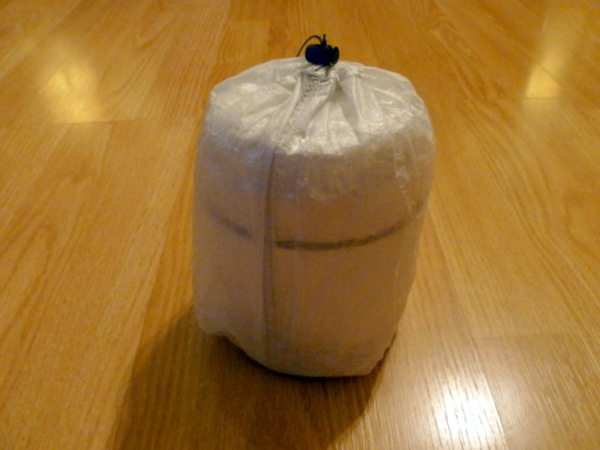 Never thought of the cuben stuff sack idea. I do have a problem with the top reflectix lid comming off when I place it in my pack’s side pocket…. problem solved now! Thanks. Stay gangsta. Anyway, thanks for stopping by and commenting. Keep up the good work man! yeah my system is about 1.6 ounces lighter than yours and it may get lighter. I couldn’t pass on the smokeeater black friday sale on the mini heat and the 12oz cook pot. I’m having great results in the reflectix pot grabber. I just wasn’t a fan of the fiberglass wick or the lip guards (I never drink from the can). In a nutshell it does work and it’s compact which is what I liked about it so much. Glad you liked the trip video. I had a BLAST out there… a wee bit cold at night because my sleep system was a little beyond the limits but I knew that and just took a chance so I can play with the Zpacks blast pack. I have really been interested in the remote feed stoves. I have the M2 that Tinny sells on my list to give a try too. They seem like a practical way to go. Just curious, how has your alky stoves performed in the cold conditions you have been experiencing? I have the original bongo HNC which seems to be like the M1 (just a wee bit taller). Summer I get 2 cup boils with a little less than 1/2 ounce, 3 season it’s more like 3/4 ounce (fall/spring with temps in the high 30’s to low 50’s). Winter I’m getting about an ounce or a little more for a boil. I’ve noticed it takes a bit longer to boil with the remote feeds. Sleeping with the alcohol to keep it warm I really haven’t noticed much of a difference in cold temps. I’ve come to the conclusion that the remote feeds are heavier than the pressurized stoves and don’t put out as much heat. But what keeps me with them is the ability to keep the fire going with zero effort and the fuel efficiency with them. In the summer I get 8 2 cup boils per 4oz of fuel. Spring/fall I’m getting 5-6 boils. Winter I get 3-4 boils. I’m really interested in the mini heat’s capability. Based on observation alone it seems more wick exposed at almost 10 grams less than the M1. Plus I’m curious as to the smaller pot and if 12oz is enough to give me what I need for my FBC meals + clean up. I always like to keep a little bit of hot water for clean up. Thanks for the info WM. Interesting to know about the remote feed too. 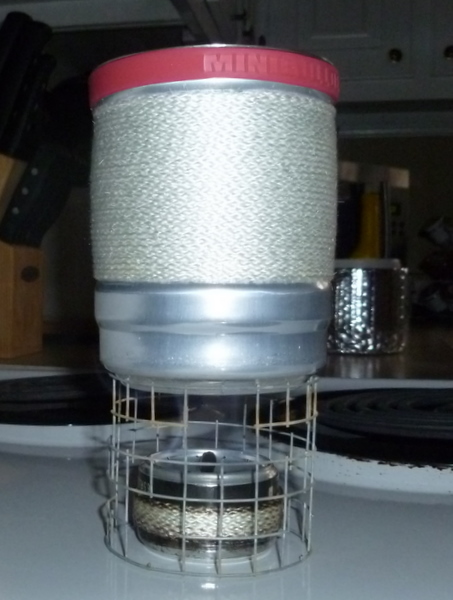 I was a little afraid that the M1 stove that Tinny has may not be quite hot enough, so the M2 seemed to be a bit better. Maybe burns a little hotter than the M1, but not as heavy as the other M stoves. I too was tempted by Smokeeater908’s Black Friday offer. And at $40 it was hard not to mention to my wife… 🙂 Heck, even at the now listed $55 it still seems good. I will be interested to see what you think about it. Glad to hear you’ve volunteered for being a den leader, that’s an awesome job. Thanks for sharing! So far it has been fun for both of us. This is also my first year dealing with it too…The campouts have been great though!